Nice to meet you on Audiko.net! It’s easy to download a free Iggy Azalea ringtones for your iPhone or mobile. Specify your favorite slice from your favorite thing - Jennifer Lopez Feat Iggy Azalea - Booty, Ariana Grande Feat.  Iggy Azalea / Problem, Iggy Azalea (feat. Rita Ora) - Black Widow [O, or any other track. You are free to get your track piece both in the MP3 and m4a formats, played by both mobile phones and iPhones. Just select a track, and choose free Iggy Azalea ringtones download option.